Heating the home accounts for an average of thirty-one percent of your energy bill. Since it is the largest utility expense, just about everyone has advice as to how to decrease your bill and still stay cozy. This winter, Portland home builders have a few tips to keep you comfortable while saving money. Consider Your Windows and Doors. You can always contact your energy company or pay a contractor to do an energy audit on your home, but chances are you already know if warm air is seeping through your windows and doors. Insulated windows and casement windows are excellent upgrades that provide tighter seals, while sliding windows are more likely to leak. If you aren’t ready to upgrade, repair cracked caulking around windows and worn stripping around doors. Reverse Thinking. Ceiling fans can provide more than relief during the summer months. Portland home builders suggest switching your fan so it rotates clockwise, creating an updraft that forces warm air lower. You can cut your heating costs by up to ten percent without the hassle of installing or repairing a thing. Choose a Programmable Thermostat. Home builders in Portland know you hate to leave the heat on all day while away at work, but want to be comfortable once at home. Programmable thermostats allow you to preset your heater and air conditioner so that comfort is possible, while saving you about $150 annually. Drape Away. Since many drafts come from faulty window frames, heavy drapes can provide a cost effective, and fashionable, solution. Portland home builders suggest installing drapes that are wider than the window frame and reach the floor. This creates a seal so cold air is less likely to force its way in. Sweeps or Snakes. Interior doors, like the one leading to your garage, can create drafts as well. Home builders in Portland recommend installing simple sweeps or snakes toward the bottom of interior doors in order to reduce leaks. Snakes are insulated fabric tubes placed along the bottom of the door, while sweeps are pliant plastic strips screwed into door bottoms in order to fill any gaps. H. Hudson Homes specializes in building sustainable new modern homes in the Portland area. 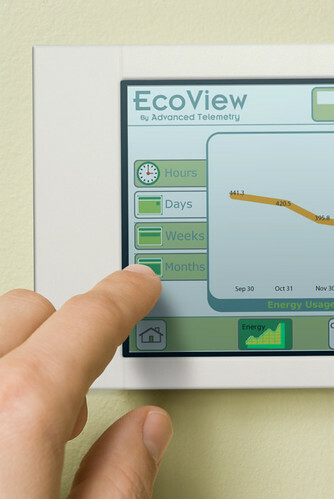 Learn more about their commitment to energy-efficient living.